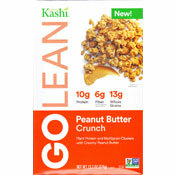 Last February, I reviewed a similar cereal from Kashi called GOLEAN Chocolate Crunch that I absolutely loved. I like peanut butter almost as much as chocolate so I was excited to try this new cereal. GOLEAN Peanut Butter Crunch delivers on what it promises in it's name. The peanut butter flavor is big and authentic. The crunch is definitely there, especially within the first 6 minutes after being doused with milk. 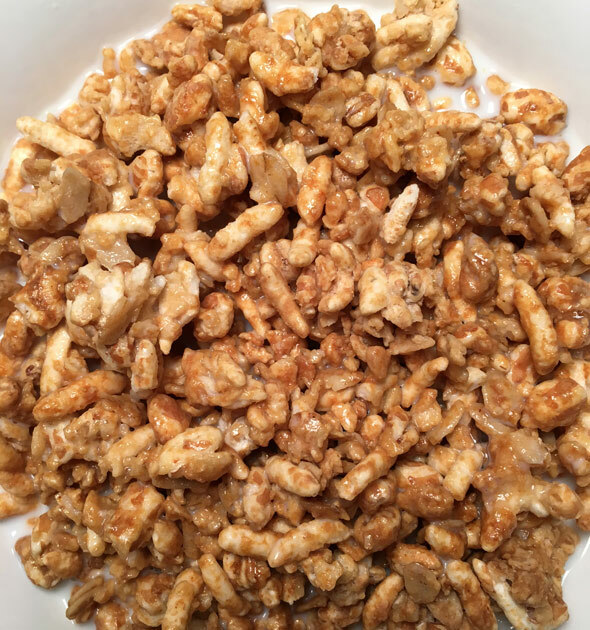 After 6 minutes, some of the cereal softens, but some smaller clusters still retain a bit of crunch for another 5 minutes. Like many other Kashi cereals, this one will remind you of granola. But it's unique because it relies much less on oats than actual granola cereals. GOLEAN Peanut Butter Crunch is pleasantly sweet. Like it's Chocolate Crunch counterpart, the puffed whole grains in this cereal reminded me a little of Super Sugar Crisp cereal. 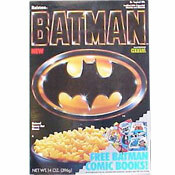 The box presents a serious looking cereal, but it's actually very fun. I found the 3/4 cup serving size to be a little small so I had about a full cup. That kept me full for about 4 hours. Given only one choice, I'd take GOLEAN Chocolate Crunch over this new GOLEAN cereal. But I did enjoy this one very much. I recommend you give it a try. Nutritional Considerations: Each 3/4 cup serving of GOLEAN Peanut Butter Crunch has 230 calories, 9 grams total fat (1 gram saturated and 0 grams trans), 0 mg cholesterol, 130 mg sodium, 31 grams total carbs, 6 grams dietary fiber, 10 grams sugar and 10 grams protein. 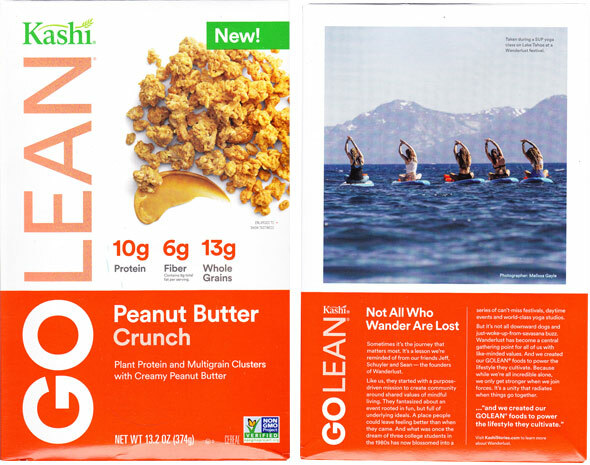 What do you think of GOLEAN Peanut Butter Crunch? It has a lot of added sugar. It contains both brown rice syrup and cane sugar which adds a total of 10 grams. Delicious but only as a treat.